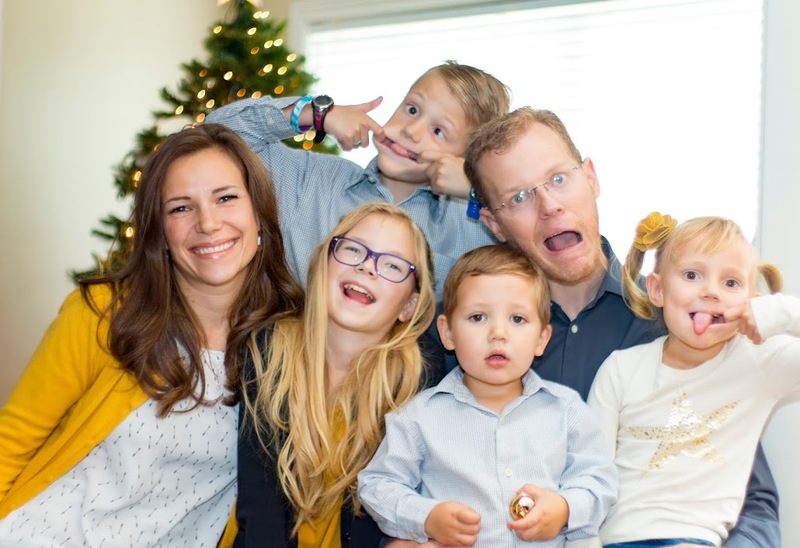 After two and a half months I feel that we have made great progress in our new home. Most of the room are unpacked and decorated. The boxes are mostly empty except for kids clothes, which I still need to go through and some pictures that I need to hang. I still have a list of things that I'd like to accomplish over the next few months but I'm not stressing to much about them. Our next project is updating light fixtures. Most of what we have is either gold or white. I've been practicing spray painting on less expensive projects (i.e. picture frames and knobs) before tackling more involved and expensive things. 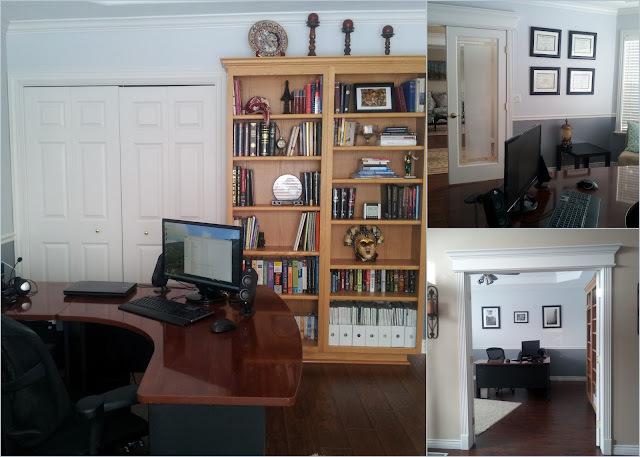 I decided to show pictures of the rooms as we 'complete' them. Although as you know, a room is never truly done. 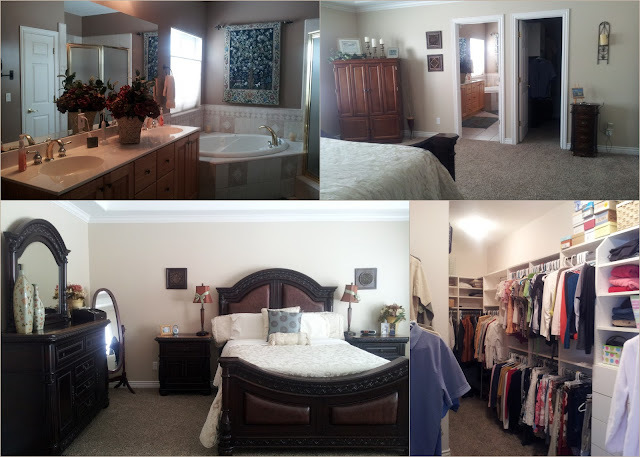 Above are photos of the master bedroom, master bath and closet. 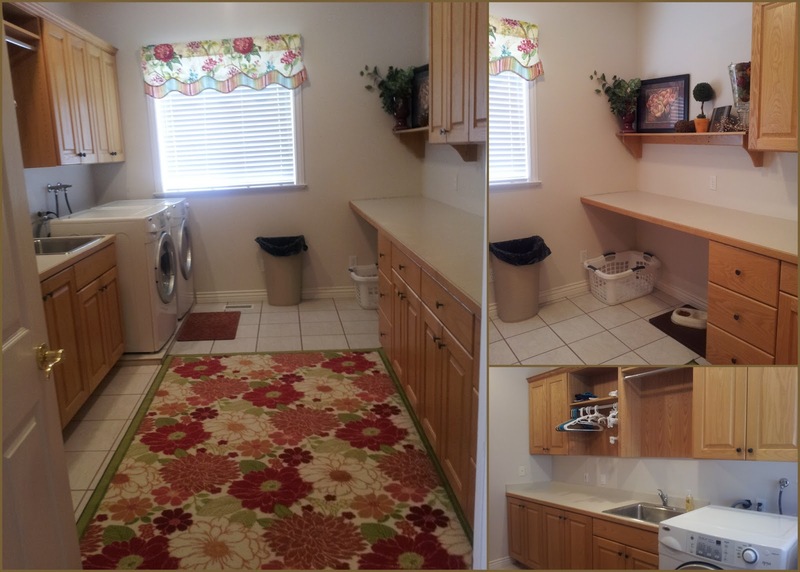 Below is my favorite room in the whole house - the laundry room. If you are the one responsible for doing laundry in your home you know how nice it is to have a dedicated folding area and somewhere to hang clothes. Our first house had a large laundry room and I loved it. I didn't know how much I was going to miss it when we bought our house in TX. When I walked into the laundry room in our current home I was in heaven. I don't thing I could ever go back. 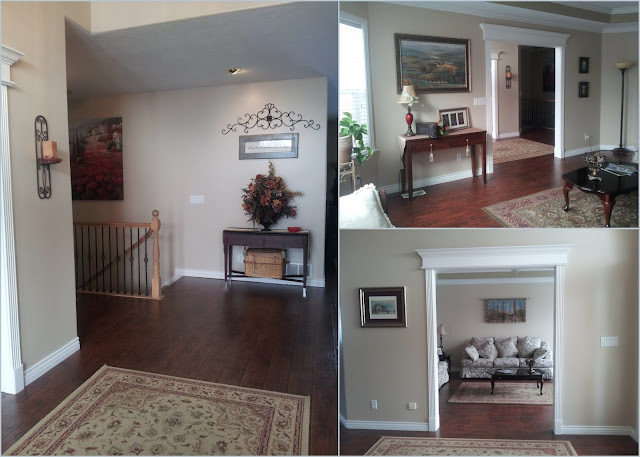 There are two rooms off of the main entrance to the home, the formal living room to the right and the office on the left. Although Todd no longer works from home, we decided to have an office rather than a formal dining room. Both rooms are south facing and get a lot of sun light. It feels wonderful to cuddle up on the couch and read a book or simply take a nap.